If you’re interested in working in one of Superdry’s 105 European stores or one of their 71 UK concession stands, you’ll find Superdry vacancies on their official website superdry.com and through employment sites like indeed.co.uk. 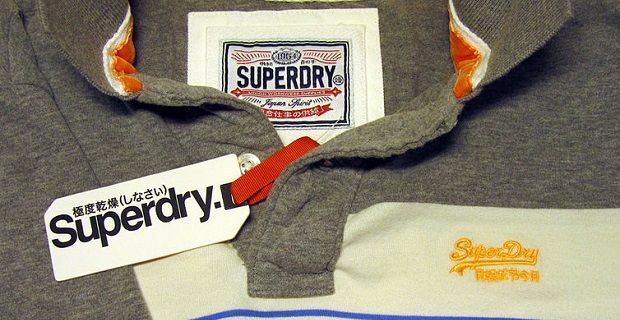 Superdry sells its goods in 54 countries, and they’re brand of premium clothing and accessories are available in many more thanks to the internet. Superdry opened their first UK store in 2004 in Covent Garden, but the owners had been running clothing outlets under the name “Cult” since 1985 so this is a well established firm. In the past few years these Cult stores have been rebranded Superdry so you could find work in a long running former Cult premises. Superdry is a favoured brand for celebrities like David Beckham, who helped boost the sales of the firm’s Brad leather jacket by being pictured by the press wearing it at several important functions. Zac Efron is another who’s been spotted in the famous clothing that mixes vintage American styling with Japanese graphics. A career with Superdry isn’t just a job, it’s an opportunity to work for a growing and very modern firm. The firm’s official site supergroup.co.uk/careers describes a career with the clothing retailer as “an exciting career and an opportunity to achieve your goals.” Whether you’re interested in a position in their head office, an in store job or a role at their distribution site, the best place to start your search is their site. You’ll have to register before you’re able to apply online, but that’s a very short process. Registering with their site offers you the chance to have email alerts for any Superdry vacancies that match your criteria. There’s a list of vacancies that’s broken down into three parts: one for jobs at the firm’s head office, another for their UK store vacancies and a third for international opportunities.